We offer adult and children fitness challenges involving cardio kickboxing, self defense, weight loss, personal training, conditioning, private classes and nutrition management. We have early morning and evening classes. Check each location for when our IMA FIT classes are offered. You can join IMA FIT anytime – even mid-way through our 90-day Feeling Fit Challenge! TRY A FREE TRIAL CLASS! 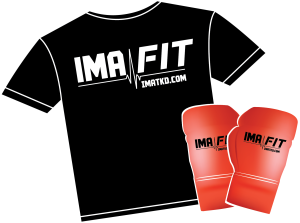 MEMBERS GET A FREE T-SHIRT & KICKBOXING LOVES UPON ENROLLMENT!